VOTE WITH YOUR WALLET-How To Cancel Your COPE Contributions From Your Paychecks. Did you read the ATR article in the NY Teacher this month? What a surprise!... neither did I. Time and again, the UFT ignores, and fails to address the disturbing issues that ATRs are faced with every day. I refuse to pay extra money (COPE) to a union who does not support the interests of those who need it most. This NY Times article is a prime example of how our union leader fails to acknowledge the ATRs and sell a contract that will destroy them with expedited 3020a hearings. WE need to spread the word that Mulgrew 's proposed CONTRACT IS A SHAM. The tentative agreement between the city and the United Federation of Teachers, of which I am president, is a good deal for the students, schools and communities we serve, in addition to the teachers themselves. It gives educators more time for professional work, training and parent engagement; it will foster idea-sharing by allowing accomplished teachers to remain teaching while extending their reach to help others. And a new program will give educators in collaborative school communities a greater voice in decision-making and give the school an opportunity to try ideas outside the confines of the contract and Department of Education regulations. This agreement also addresses two critical priorities for our members: making the teacher evaluation system simpler and fairer and reducing unnecessary paperwork that takes us away from our students. It also obligates the department to provide educators in core subjects with appropriate curriculum, something which we have long fought for. In terms of treating teachers as the professionals they are, it offers a fair set of wage increases over the life of the contract. Our previous mayor tried to make it impossible for the next administration to give educators the raises they deserve. Mayor Bloomberg failed to set aside money in the budget to pay teachers the two 4 percent raises for 2009 and 2010 that other city workers received. He also purposely drained the city’s entire labor reserve fund. Over the five long years Bloomberg refused to negotiate, the cost of paying out those raises ballooned. By agreeing to stretch out these retroactive payments and raises, we made our members whole and at the same time won significant raises in the contract’s later years. After years of fighting off bad ideas from so-called “education reformers,” we have, in this contract, turned the tables by enabling teacher-led innovations in our schools. Working in partnership with Mayor Bill de Blasio and Chancellor Carmen Farina, we now have the opportunity to rebuild our city’s school system with educators – not bureaucrats or consultants – in the driver’s seat. Our agreement is the product of a shared belief that it is our school communities that must be the agents of change. Chancellor Carmen Fariña responded broadly to concerns that the city’s schools were too segregated, a theme that’s picked up steam as Saturday’s 60th anniversary of Brown vs. Board of Education ruling has neared. A statement from Fariña didn’t directly address some of the issues sparked by the milestone, including whether districts are doing enough to mix schools with students based on their socioeconomic status. 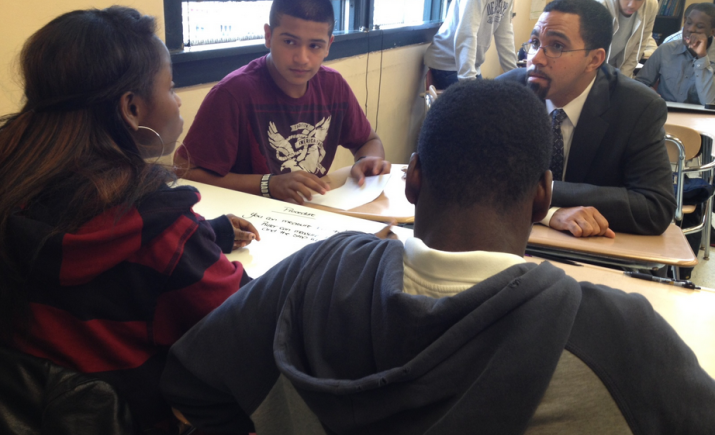 Nor did it respond to State Education Commissioner John King’s remarks this week that the city school system fosters segregation through selective school admissions and rigid neighborhood enrollment zones. 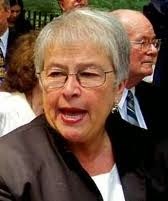 Fariña did say that she was ”disappointed with the findings” in a recent report finding New York State to have the most segregated schools in the country. And she said the Department of Education supported “integrated, culturally-rich environments” for children to learn. But she offered few hints about what her position is on the issues raised by King and whether there are any plans to address them. While the report includes new data from the 2010-11 school year, its findings about the makeup of city schools aren’t new. Two years ago, the New York Times found that more than half of city schools are 90 percent black or Hispanic—the “intensely segregated” threshold. And another recent Civil Rights Project analysis showed that New York City was one of themost segregated cities for black students. A couple days after reprising his criticism of New York City’s enrollment policies, State Education Commissioner John King had nicer things to say about school system’s new boss, Chancellor Carmen Fariña. 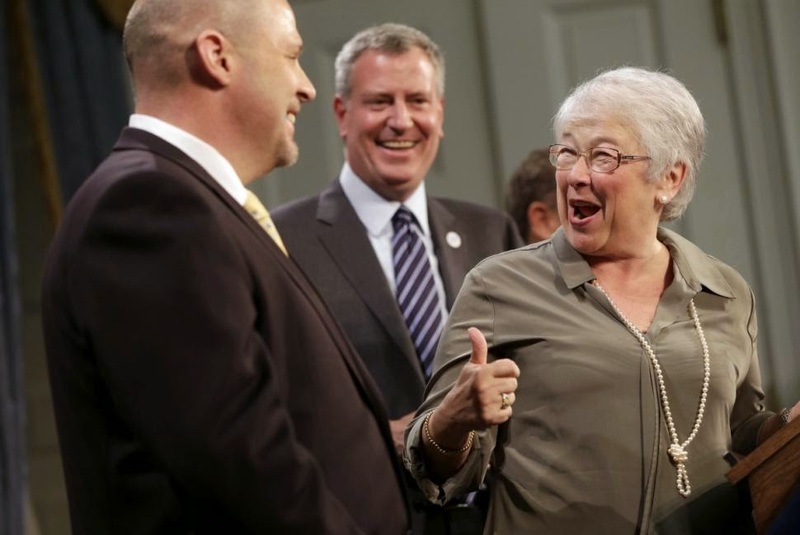 Fariña’s efforts for boost professional development for teachers earned praise from King, who said the extra training was a missing piece from implementation of the Common Core learning standards. “I’ve been pleased that Chancellor Fariña has expressed a strong commitment to, not only the Common Core, but the professional development for teachers that will help to ensure its success,” King said today on the Brian Lehrer Show. In her first five months on the job, Fariña has revived the Department of Education’s office of professional development and launched a program that encourages principals to share best practices at their respective schools. And next year the city plans to give teachers more training time during the school day, which King had repeatedly advocated for in recent months. The remarks were King’s latest in a spate of public appearances leading up to Saturday’s 60th anniversary of the Supreme Court’s Brown vs. Board of Education decision. He mostly stayed on message about what he thought was needed to end persistent educational inequalities, including a need to raise learning standards through the Common Core. Critics have argued King has moved too quickly by basing high-stakes tests on the standards. This week, King likened the criticism to rejecting values that were enshrined in the 1954 Supreme Court case, which ruled that educational segregation was unconstitutional and compelled public schools to integrate along race and other demographic lines. Brian Lehrer pushed back against that comparison on Friday, saying that some of the same groups that have criticized the state’s Common Core policies have a long history of civil rights activism. “Are you saying that opponents of the Common Core approach, which includes some real campaigners for social justice, are racist?” Lehrer asked. “I’m saying that the notion that there are some kids who just can’t be prepared for success after high school is wrong and inconsistent with American values,” King responded, referring to low number of black and Latino students who graduate ill-prepared for college-level coursework. Lehrer also asked King to clarify his criticism of New York City’s enrollment policies, which the commissioner singled out in a speech on Thursday. In the speech, King said district and neighborhood zoning lines had created stark racial and socioeconomic disparities between schools situated just a few blocks away. Lehrer pointed out research that found a large part of the reason New York City’s school system is so segregated is because of charter schools, which predominantly serve low-income black and Hispanic students. King, a former managing director of Uncommon Charter Schools, said it was “a legitimate concern,” but played down the sector’s role because it serves “a very small percentage of students.” He also said their commitment to serve students living in low-income neighborhoods should be shared by more schools. One caller identified herself as a parent from P.S. 282 in Park Slope, a elementary school that serves a large share of low-income students and is often seen as an example of disparities caused the city’s enrollment policies. Instead of integration policies, the parent wanted to talk about the Common Core. She said the real problem is the curriculum that many low-income schools in New York City were using to adopt the standards. King reiterated a need for schools to do more professional development for teachers so that they’re aligning their lessons to the standards, which require students to read more non-fiction text and refer to it often in their work. And King said the state could also be doing more to support districts. “We’ve got to highlight examples of great practice [and] try to help people replicate those,” he said. "...with respect to the placement of written materials in tenured teachers' files, that petitioners' union was well aware that, by adopting the CBA provision, it was agreeing to substitute that procedure for other due process procedures that had previously been in place. Therefore, there was ample basis to conclude that the union knowingly waived the procedural rights granted in section 3020-a in that limited arena." In the Matter of Helen Hickey, Appellant, v New York City Department of Education, Respondent. In the Matter of Rachel Cohn, Appellant, v Board of Education of the City School District of the City of New York et al., Respondents. PRIOR HISTORY: Appeal, in the first above-entitled proceeding, by permission of the Appellate Division of the Supreme Court in the First Judicial Department, from an order of that Court, entered June 3, 2010. The Appellate Division (1) reversed, on the law, a judgment of the Supreme Court, New York County (Sheila Abdus-Salaam, J. ), entered in a proceeding pursuant to CPLR article 78, which had directed expungement of a letter from petitioner's personnel file, (2) denied the petition, and (3) dismissed the proceeding. The following question was certified by the Appellate Division: "Was the order of this Court, which reversed the [judgment] of the Supreme Court, properly made?" Appeal, in the second above-entitled proceeding, by permission of the Appellate Division of the Supreme Court in the First Judicial Department, from an order of that Court, entered June 3, 2010. The Appellate Division (1) reversed, on the law, a judgment of the Supreme Court, New York County (Carol R. Edmead, J.; op 2009 N.Y. Misc. LEXIS 4104, 2009 NY Slip Op 30090[U]), entered in a proceeding pursuant to CPLR article 78, which had directed expungement of a disciplinary letter from petitioner's personnel file, (2) denied the petition, and (3) dismissed the proceeding. The following question was certified by the Appellate Division: "Was the order of this Court, which reversed the [judgment] of the Supreme Court, properly made?" Matter of Hickey v New York City Dept. of Educ., 74 AD3d 458, 903 NYS2d 362, 2010 N.Y. App. Div. LEXIS 4619 (N.Y. App. Div. 1st Dep't, 2010), affirmed. Matter of Cohn v Board of Educ. of the City School Dist. of the City of N.Y., 74 AD3d 457, 901 NYS2d 640, 2010 N.Y. App. Div. LEXIS 4624 (N.Y. App. Div. 1st Dep't, 2010), affirmed. DISPOSITION: In Each Case: Order affirmed, with costs, and certified question not answered upon the ground that it is unnecessary, in a memorandum. Petitioner teachers were not entitled to have "letters of reprimand" expunged from their personnel files on the ground that respondent board of education failed to follow the disciplinary procedures set forth in Education Law § 3020-a, since petitioners' union waived those procedures and agreed to replace them with alternate disciplinary procedures contained in a collective bargaining agreement (CBA) as authorized by Education Law § 3020 (4) (a). The broad CBA provision clearly encompassed written reprimands, and the disciplinary letters at issue fell within its purview. Comparison of the statute and the CBA provision revealed that the procedure in the CBA was significantly different than, and incompatible with, the procedure in section 3020-a, meaning that the parties to the contract could not have intended both procedures to simultaneously apply. Their history of collective bargaining indicated, with respect to the placement of written materials in tenured teachers' files, that petitioners' union was well aware that, by adopting the CBA provision, it was agreeing to substitute that procedure for other due process procedures that had previously been in place. Therefore, there was ample basis to conclude that the union knowingly waived the procedural rights granted in section 3020-a in that limited arena. COUNSEL: Richard M. Krinsky, Brooklyn, for appellant in the first above-entitled proceeding. Sherry B. Bokser, New York City, Richard E. Casagrande, Ariana A. Gambella and Stroock & Stroock & Lavan, LLP, for appellant in the second above-entitled proceeding. Michael A. Cardozo, Corporation Counsel, New York City (Dona B. Morris and Francis F. Caputo of counsel), for respondents in the first and second above-entitled proceedings. JUDGES: Chief Judge Lippman and Judges Ciparick, Graffeo, Read, Smith, Pigott and Jones concur.